Forget buying jewelry or a splurging on a shopping spree this Valentine’s Day. Instead, enjoy a weekend dedicated to the alluring and seductive cocoa bean. 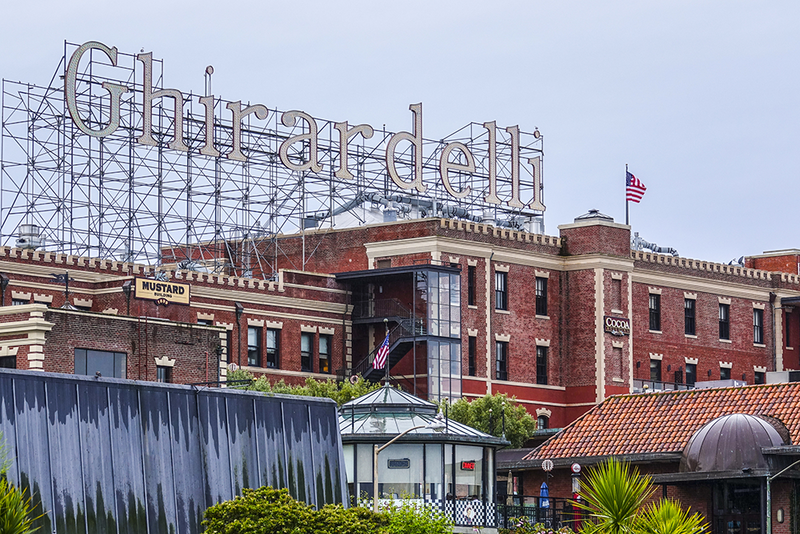 This landmark in the city by the bay is the country’s longest continuously operating chocolate manufacturer. Ghirardelli SQUARES are found in grocery stores throughout the United States, along with baking chocolate and specialty concoctions. Ghirardelli Square now occupies an entire city block complete with boutiques, restaurants, children’s areas and luxury living. San Francisco’s famed Fisherman’s Wharf sits right across the way, positioning the chocolatier as a decadent dessert after a meal looking out at the Golden Gate Bridge. French techniques meet the Motor City’s ingenuity at this Detroit destination founded by Alexandra Clark. Being in the home of Motown, the shop offers a variety of chocolate confections shaped like cassettes and vinyl records. Try the Better Butter Crunch, a treat balancing salty and sweet notes through a combination of potato chips and milk chocolate. These walking tours shepherd visitors around some of Boston’s finest chocolate spots. Tours highlight specific neighborhoods and guides include a wine expert, pastry chef and knowledgeable chocoholics. The Back Bay happens every Saturday morning and traverses around landmarks like Copley Square and the Prudential Center. One of the standouts of the tour is the stop at Swiss chocolatier that makes the Dom Perignon champagne truffle. The South End walking includes cupcakes and speciality alcoholic beverages, as well as bakeries and restaurants owned by celebrity chefs. This interactive experience inside a former candy factory helps cement St. Stephen as Canada’s “Chocolate Town”. Brothers James Ganong and Gilbert Ganong created the company within their fledgling grocery store in 1873. Soon the candy became the reason customers sought out the store. Now home to a chocolate shop, the original factory hosts guided tours for guests to check out antique equipment, vintage chocolate boxes and more. Seattle is home to more than Starbucks, grunge music and a public market with flying salmon, it’s also famous for progressive ideals and high-end cuisine. Those two principles have guided Theo Chocolate since 1994. Unscrupulous behavior routinely accompanies the cultivation and export of chocolate, but Theo’s uses Fair Trade and organic ingredients to craft (ethically) guilt-free treats. Try the “Big Daddy” marshmallow or the salted almond and dark chocolate bars. Found in Tulsa’s Brady Arts District, this family owned shop boasts a blend of artisanal, vegan, and cocktail-inspired treats. The cocktail confections includes chocolates infused with cabernet sauvignon, tequila, kahlua and rum, while the coffeehouse collection includes flavors like chai tea, caramel macchiato and espresso. Leave it to Kentucky, home of one of America’s indigenous liquors, to find a way to blend rich, sumptuous chocolate and oaky, syrupy bourbon. Started by a pair of substitute teachers during Prohibition, the Kentucky-based chocolatier remains a family operation well into the 21st century. Ruth Hanly and Rebecca Gooch began the factory humbly in a rented barroom at the Frankfurt Hotel in 1919. Ten years later, Ruth would be the sole proprietor staring down the barrel of the Great Depression. Sales transitioned to individual pieces rather than by the box, and in 1938 Ruth released the bourbon ball, spiked treat that’s remained popular ever since.